With Medicare changes every year, all home health providers will soon be required to have electronic medical records systems to manage patient information. Turn Key Therapy offers a way to stay ahead of that curve while giving you a distinct advantage over you competition. TheraTracker is a complete online based software that allows users to fully manage the home health therapy cycle 24/7, 365, from anywhere! Individual therapists and therapy staffing companies use TheraTracker as the launching pad to build their business. Even home health agencies subscribe to TheraTracker because it offers more function and outperforms their expensive out of date software. TheraTracker is a custom built software created by home health therapists who have worked in the field and in management for years. All features in TheraTracker are geared to keep therapists fully compliant with new Medicare regulations and help create a blueprint for exceeding expectations in documentation and communication. TheraTracker allows therapists, agencies, therapy staffing companies, and even physicians to follow the progress of and participate in the management of each patient. Clinicians and employers using TheraTracker have continually raved about how easy it is to use compared to other software currently offered in home health. 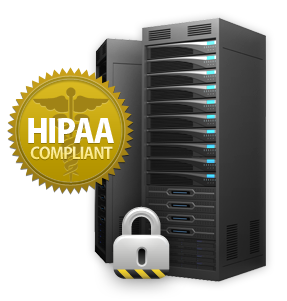 TheraTracker is HIPAA compliant and keeps your data secure. TheraTracker uses only the most advanced technology for security of your data. No special software or specific type of hardware is required to use TheraTracker. Access your patient information on any web enabled device, anytime, anywhere. You will not find a more reliable, versatile, comprehensive, affordable way to manage your home health therapy business. Check out the different features of TheraTracker on the TheraTracker Screen Shots Page. For more details on TheraTracker and how it will benefit you, download our informational packet. Click here to download.